Will need a crash log if this is the case, otherwise won't be able to help. When you get past the issues you're currently working on, what kind of Stands do you consider adding? Are you going to use Stands that aren't yet covered in the anime? I understand that there are some things that you have to work on first before you get to adding any more, but I do have some suggestions in case you ever run out of ideas. Sun: Spawns in the sky above the user, but doesn't follow them. Shoots a Flame Charge downwards in a random direction every 5 seconds. Disappears when the user leaves the general area or presses V.
Achtung Baby: V turns you invisible, as well as your items and armor. Right clicking a mob or player will give them the regular temporary Invisibility buff for 10 seconds as well. Harvest: Pressing V creates a Harvest that will follow the player and attack anything that the player attacks, like how wolves behave. Limited to 10 Harvests per player. Notorious B.I.G. : If the humanoid form is active upon the death of the player, it spawns the post-mortem form in its place. This form chases any nearby mobs, and grows in size whenever it lands an attack. For the sake of not occupying space, it can be killed. Whitesnake: If you punch another Stand user with Whitesnake, they loose their Stand, and you get a disc item for the corresponding Stand that can be kept, returned or given to another player. Tusk: When active, pressing right click with an open hand will let the player shoot a projectile. Act 2's black holes will be tricky to figure out, but Act 3 will teleport the player to the impact point, and Act 4 (maybe unlocked by riding a horse?) will allow Tusk to do an oraoraora barrage attack. Cream Starter: An item that sprays particles that effect the player that comes in contact with them. The effect can switch between Instant Healing or Harming. Hey Ya: Will sometimes say encouraging things in the chat. Mandom: Will save the state of the user (position, items, health, etc.) upon pressing V. 6 seconds after, the user will revert to this state. Catch the Rainbow: Lets the player fly freely when raining. 20th Century Boy: While active, the player is invincible but cannot move. Soft & Wet: Right click will send out a bubble whose effect is changed with Shift+Jump. On contact with another player or mob, the bubble can steal Health, Hunger, Items, or Sight depending on the mode. Ozone Baby: Upon receiving this Stand, the user will obtain a White House model item. 10 seconds after this item is placed, every mob and player within 100 blocks will experience the Nausea and Poison debuffs. I don't have any expectations of y'all to add any of these, but I do enjoy thinking about the concepts and writing them down so I might add more to this list in the future. How do I steal peoples stands? Could you please read the description and previous comments? I know it's kind of a hassle, but its so you don't ask the same question someone else already did, unless you've found a question that hasn't either asked or answered in the span of one month, as it can flood the comment section with the same question again and again. I may not be a developer, but we need to have a little bit of patience and common sense. How do I use killer queen's special abilities? Heyo, just wondering can you find vampire thrall naturally or is it only spawned in with creative? it spawns naturally, but its pretty rare, I've found it most of the times on caves. Also just so you know, Vampire Thralls have a low drop rate of Vampire Blood. Vampire Thralls are more spawning in the nether. I was wondering, you said previously that Time Stop doesn't work in 1.12, is it coming back, or is it simply impossible with the way that 1.12 works? I know that mods take time and it most likely won't be back soon if it does return. It will hopefully return properly. There has to be a way for me to at least make it seem as though time has stopped (even if it doesn't actually stop time). when it does work, could you add a grey-blue fog around the play to make a more visible time stop color? i'd start by looking at whatever creates weather. When I turn off the mod consuming hunger with stands, hunger is still consumed, at least until it runs out. Could you fix that? Or if that's how its supposed to work, why does it work like that? 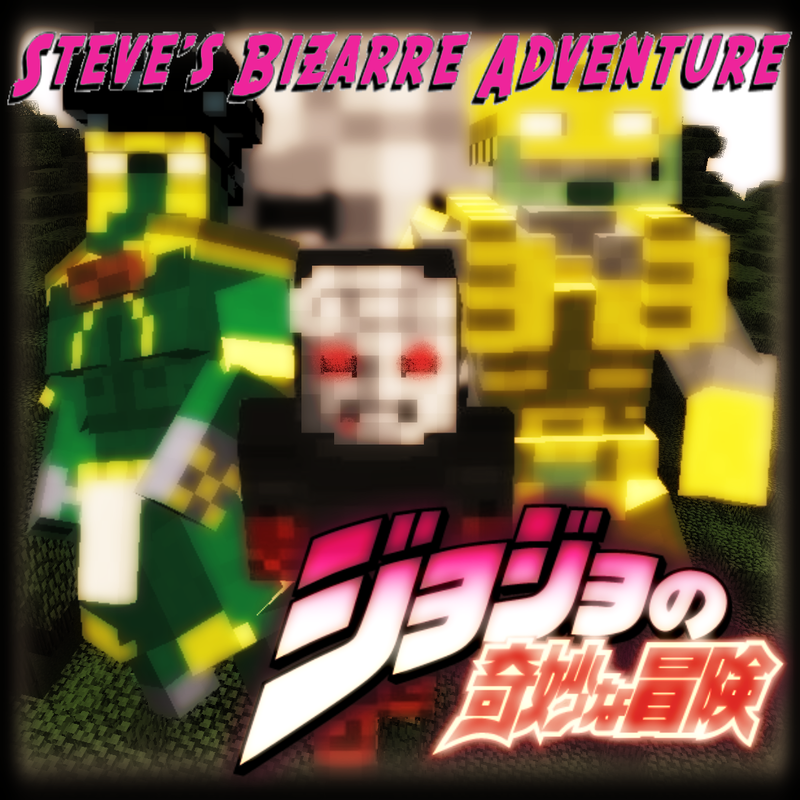 This is an awesome mod, cannot wait for more stuff like the other stands' powers, Hamon, and maybe a possible interaction between the Red Stone of Aja (if it gets added) and the stone mask.